Eating at restaurants can sabotage your weight loss goals. This is because most restaurants serve larger portions of GMO addictive foods that are heavy in calories, carbs, sugar and fats. It is their job to cook delicious foods that keep us wanting to come back for more! Which makes it hard to not overeat at restaurants. Yet, way too easy to get completely off track with weight loss goals and this yo yo pattern can last for weeks, months or years. So, why am I sending you tips on how to eat out at restaurants? I am NOT encouraging you to eat out! It is just that sometimes we have to eat at restaurants for special occasions, convenience, travel or business. Yes, I could go through a bunch of suggestions like "don't eat out at all", "only eat at the health food restaurant", "just order a salad", "only drink water", etc., but the reality is that learning how to make healthy choices is better in the long run. This is why I am sharing these 2 tips with you. Hopefully, they will ease the stress of making better food choices and help you to stop overeating at restaurants while trying to lose weight! PRIOR PLANNING being point here. It's so much better to be prepared when trying to lose weight, then to accidentally go to a restaurant and eat too much food or the wrong kinds of foods for your diet plan. The same is true when meal planning at home and work, too. Eating at restaurants is a major cause for weight gain and obesity throughout the world. This is because the calories add up to be far more than we could ever anticipate they would be when "blindly" making food choices. Most restaurants don't hold back on the amount of sugar, salt, fats and chemicals. So, planning ahead will help make dining out less damaging to your weight loss goals and health. Discuss ahead of time where you're going to eat! Check the restaurant's website to look up nutrition facts before you dine out. Determine what you will eat and drink while you are out, and STICK TO IT!!! Additionally, this process will eventually work EVEN if you do not know which restaurant you're going to because you will start recognizing the nutritional information for standard types of foods, salad dressings, drinks, side dishes and foods cooked at restaurants. 1) Type in the restaurant's website address or Google for it. 2) Go to the menu page and click on the picture for the food you are interested in. Usually, when you click on the picture of the food, there is a NUTRITION link for that food item, but sometimes it's in their menu list on the side of the page. Click on it and look at how many calories as well as how much sugar, fat, carbohydrates are in the food you want to eat. Base your choices on the parameters of your diet plan. Of course, keep in mind that taking Skinny Fiber at least 30 minutes before your meal will help with overeating (time it to take in the car before arriving if need be! ), but you still want to check out the nutritional guides to make sure you're making healthy choices. 3) If you don't see a Nutrition link on the menu pages, look at the bottom of the Home page. Restaurants often have one Nutritional Information guide with everything they service on one massive list. It is usually at the bottom of the home page of their website. If not, look around and you might find it. 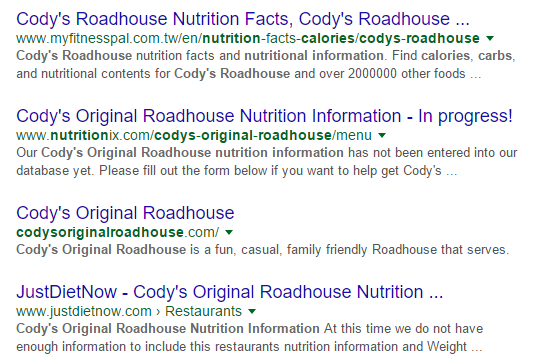 4) If you cannot find a Nutritional Information guide then you can Google THE RESTAURANT'S NAME + NUTRITIONAL INFORMATION and find it in the Google search results. 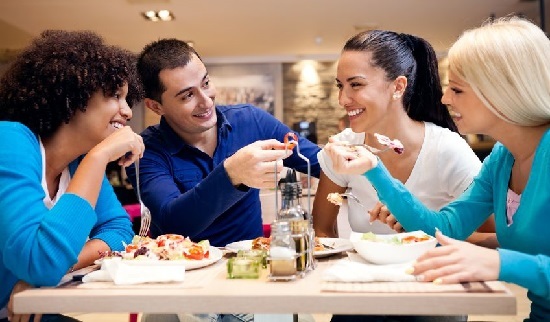 If you can not find any nutritional information for where you want to eat, you can choose to go to another restaurant . If you cannot change plans, then you can Google basic nutritional information about popular menu items and try to determine which would be best to eat. I can see other 3rd party websites where people have shared the nutritional information for that restaurant and refer to these for some guidance. The more popular the restaurant, the more 3rd party reviews and websites to refer to, so keep this in mind when choosing a restaurant. Another solution is to simply look at the menu on their website, call ahead and ask - OR - deal with asking certain questions about what ingredients are in their food (i.e. sugar, oils, gluten, etc.) while you are at the restaurant or take the safe route by choosing basics that you know are ok for your body. For example, salad without croutons (or cheese if you're non dairy) w/ olive oil & vinegar, veggies and meat. That is one of my basic meal choices if I can't find nutritional information before going or we happen to choose a restaurant out of the blue (which is not often for our family). Skinny Fiber is an all natural supplement that helps you not overeat and has all of the benefits of the fibers and enzymes in the product. Both are very important in aiding proper digestion which contributes to healthy weight and weight loss. Skinny Fiber also helps with metabolism, fat blocking if taken at least 30 minutes before meals and energy without the jitters. 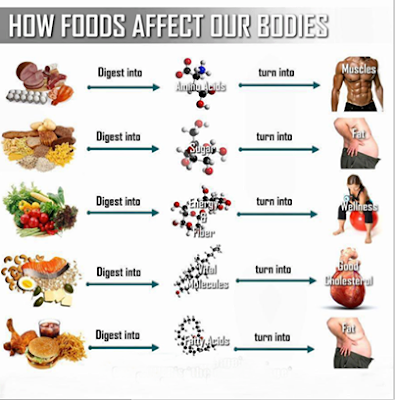 You can learn more about how Skinny Fiber can help stop overeating on this Ingredients page. Hope these tips have been helpful to some of you. Even if you don't eat out much, when someone has a birthday party or if you are traveling, visiting family over the holidays or have a business meeting planned, these tips can help you be more prepared to stop overeating at restaurants. If you are going to family functions, just call ahead to see what their serving or bring a "safe dish" so that you can stay on track with your weight loss goals. Here's to YOUR health and happiness!!! !